Take a perfectionist chef, give into his hand really high-quality ingredients, add a hint from the charm of French cuisine and a pinch form the original Hungarian hospitality, salt and pepper it to taste: This is Borssó! More and more people adore fusion cuisine and also star-chefs who are achieving dazzling results not only at nationally but also in the international gastronomic floor. Our chef is Norbert Kovács. His menus compete with anyone at home or abroad. Norbert's number one principle: great food is made from fresh and flawless ingredients. We share his view. I regularly accompany him to local markets. It’s a fantastic experience to see how carefully and professionally he selects the ideal vegetables for his daily menus from the assortment of his proven Hungarian producers. First of all Norbi believes in fresh, domestic ingredients. And in the French ones, because there are a few that great can only be purchased in France. He is also right in this. So what we miss here, we order from there. According to our credo great service is just like good makeup: almost invisible, but it can also conjure the perfect beauty to even prettier. At our place you will not find any waiters. If You visit Borssó your server will be your host. He will be such a great guide, who can exactly inform you about what’s going on in the kitchen, but also serve as Your reliable counselor what drink of our will make your food even more enjoyable and tasteful. We love the one of a kind French culinary culture and we also look for challenges. 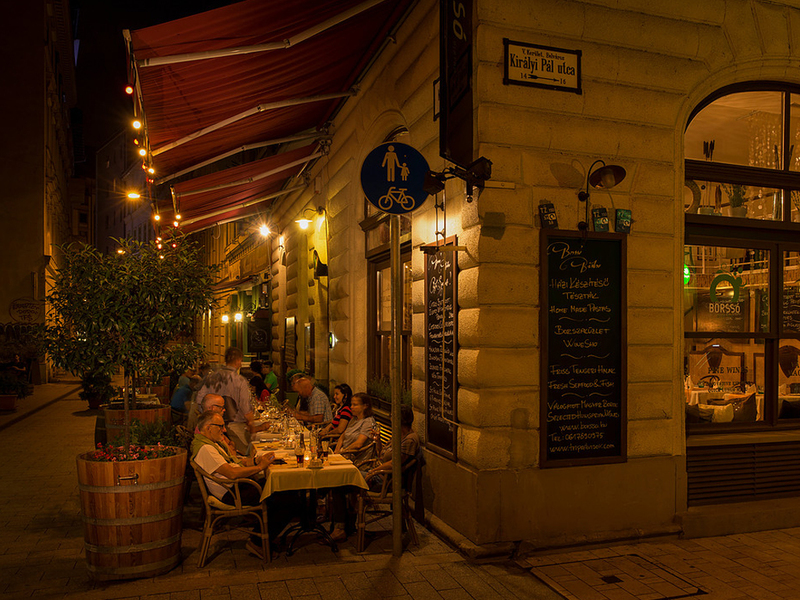 Therefore, when we first dreamt about the concept of Borssó, we decided to open a French bistro in Budapest. A great and cozy place with delicious food. 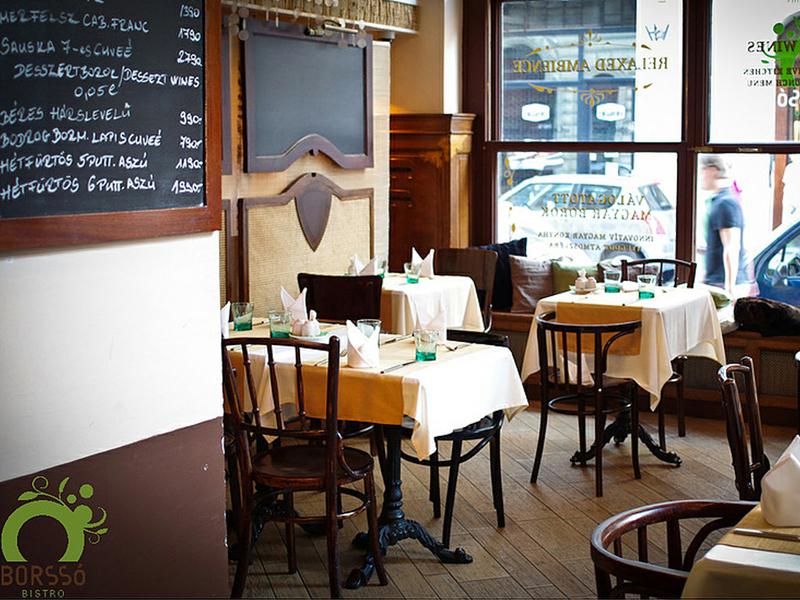 A bistro You can visit even in T-shirts and jeans any time and enjoy a tasty piece of meal or a drink. Not an ostentatious, but still an elegant restaurant where you will happily invite your darling for a romantic dinner, or your friends to chill out, or even your business partners for a lunch.